LARRY LEWIS (Alaska Dept. 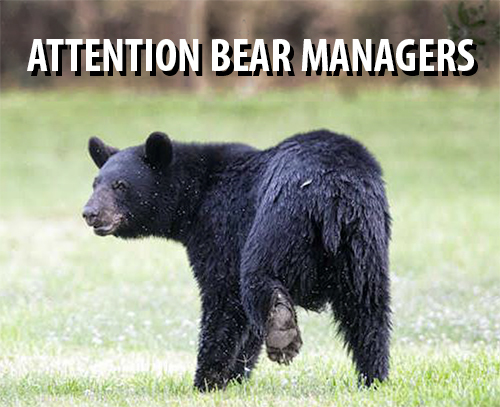 of Fish & Game) will present 2 training and information workshops on the use of CEW’s at the 5th International Human Bear Conflicts Workshop. Classes will be held on Sunday and Thursday (March 25 & 29). The CEW training fee is payable via cash, check or credit card at conference check-in only. Seating is limited to 50 individuals for each class.